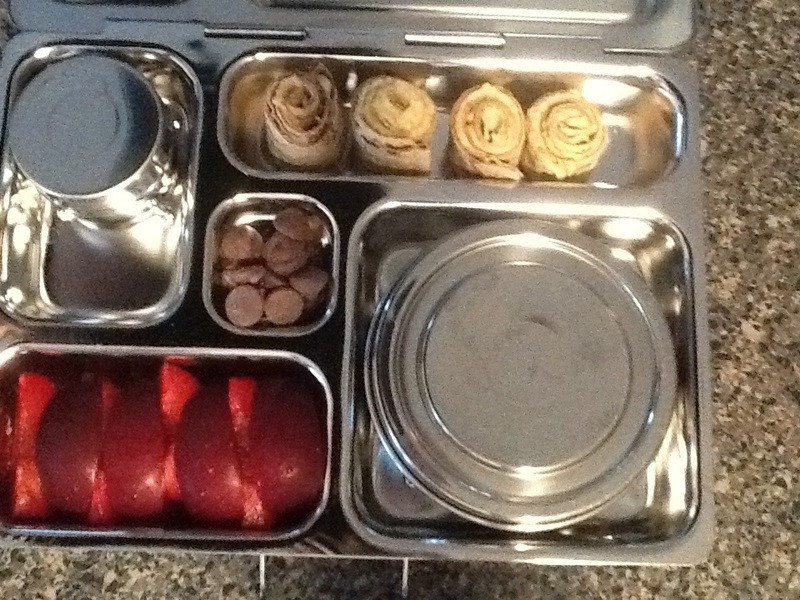 Today my daughter had organic black cherry yogurt, granola, plums, and hummus pinwheels. I put a few chocolate chips for dessert in the center as well. I typically use lavash for the pinwheels (flat, rectangle bread), but it can be hard to find, so I used another flat bread and cut off the round ends, spread a semi thin layer of hummus and rolled it up! And forgive me for lidding the dippers, got a cold going on and had a cloudy head! 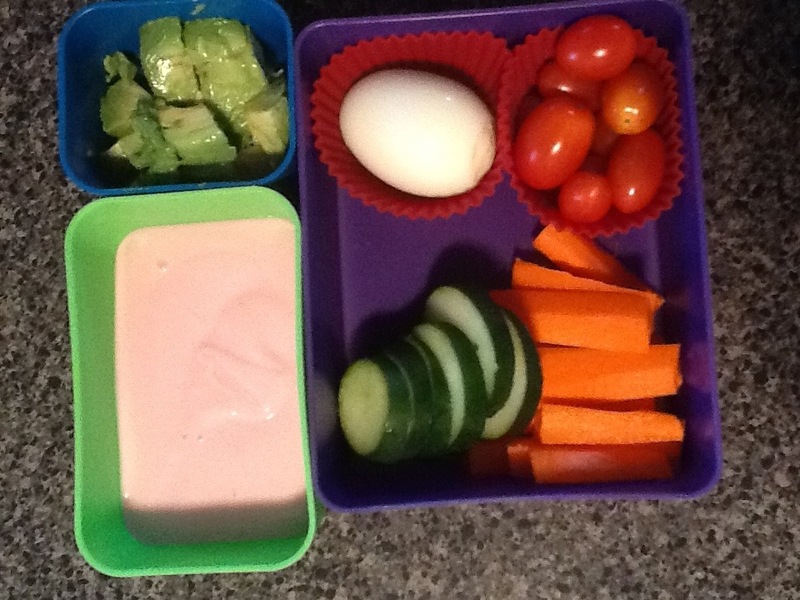 My son really loves the cherry type tomatoes, so he had organic grape tomatoes, cucumbers, carrots, boiled egg, sliced avocado and yogurt. I squeezed a bit of lemon juice on the avocado and sprayed a bit of pure EVOO on it to help prevent it from going brown. So thankful my boy eats like this. It’s his dream lunch!